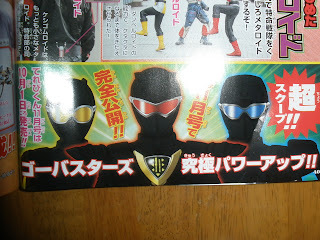 Toku Insider: First Post in a while/Go-Busters' new direction! 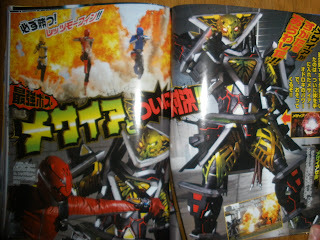 First Post in a while/Go-Busters' new direction! Low ratings? Creative differences? Merely story progression? 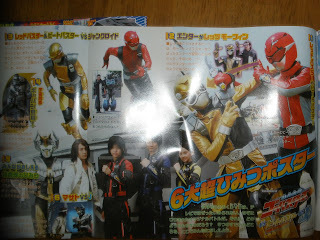 Whatever reason you decide to go with, Go-Busters will be getting an update with Episode 28. 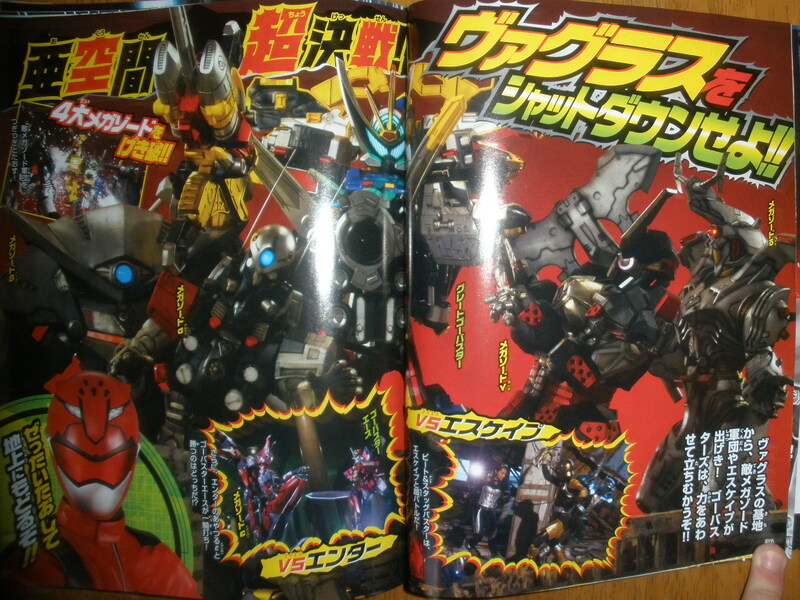 Messiah will evolve into a physical form, and it looks like it's time for a showdown. Great Go-Buster taking on multiple villains. 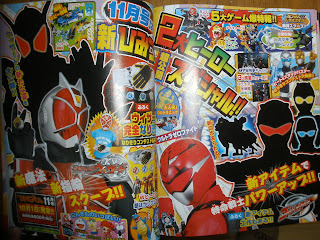 Because Cross-Promotion is awesome-sauce, Gavan Type-G will make his way to the Go-Busters World (Decade Terminology eh?) 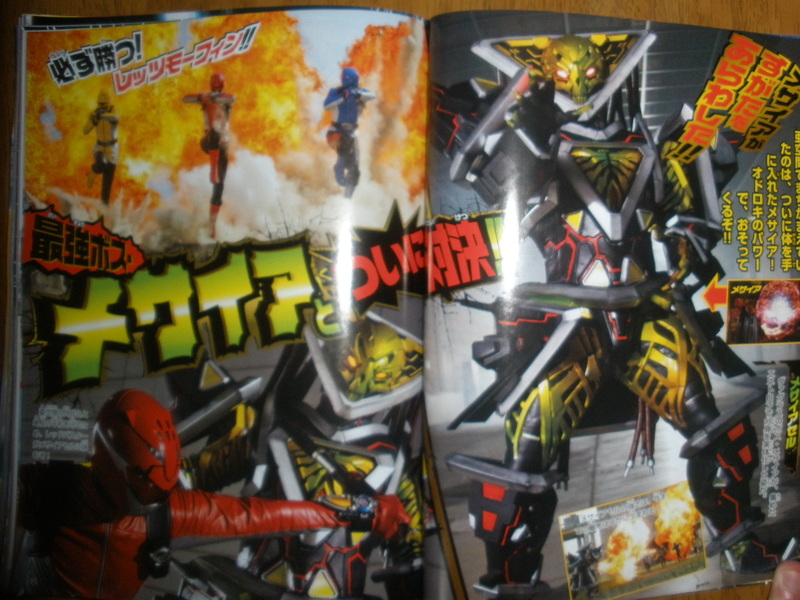 to help out the Busters in their fight against a very Maaku-seeming villain. 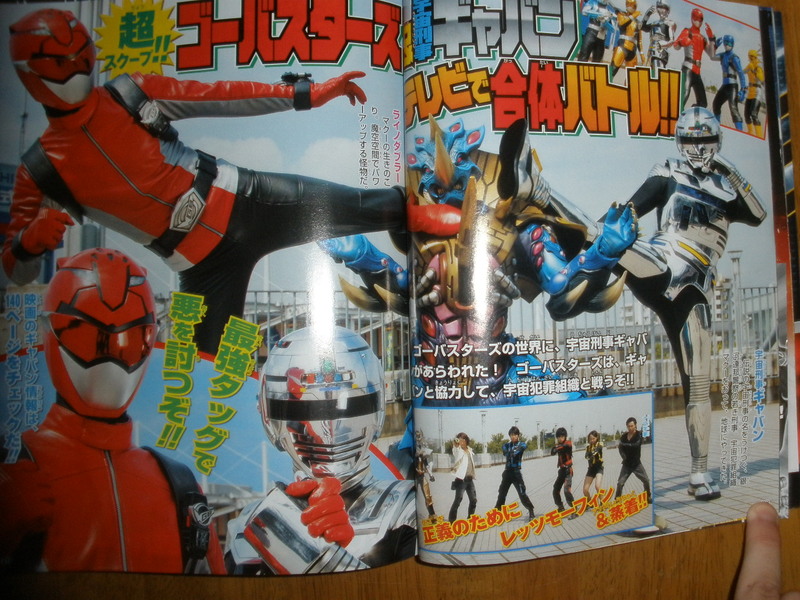 Will Toei up the anti and explain how the Go-Busters get to VS Gavan to fight Basco? I can only hope. 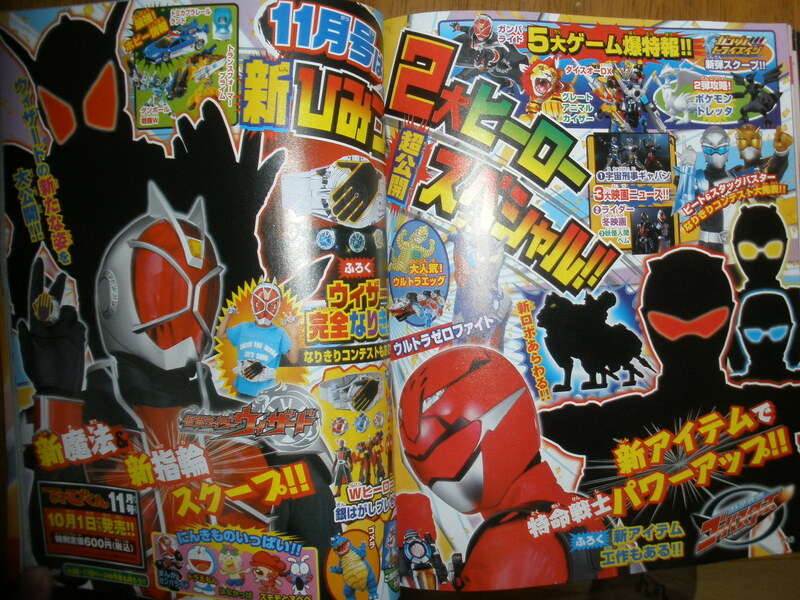 As previously pictured, the Go-Busters will power up, into the "Powered Custom" forms, which resemble their Buddyroids' armors. If you haven't seen the forms yet, they're pretty cool looking. On the left, Wizard in a Dragon-fused state (Flame Dragon), on the right, The Powered Custom Go-Busters, and the newest additional to the arsenal, TategamiRaiOh. 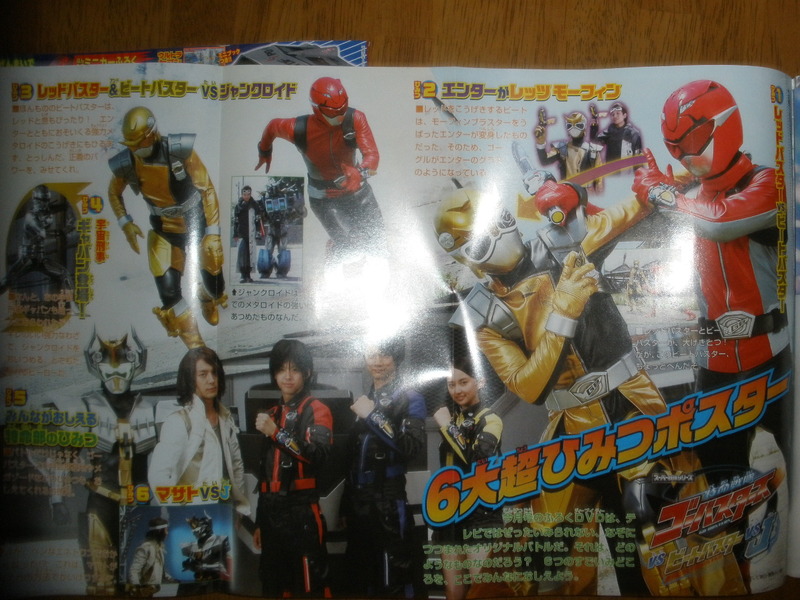 Unrelated to the show (at least in any meaningful way) Go-Busters will get a special tv mag dvd, entitled Tokumei Sentai Go-Busters VS BeetBuster VS J. Although only rumored before, this scan confirms that Enter will don the guise of BeetBuster, and with an awesome villain cape to boot!